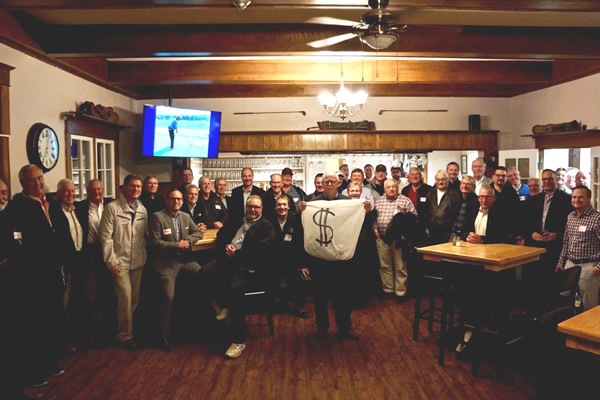 Guys Who Care North Simcoe held their seventh meeting on Monday, October 15th, 2018 at Midland Golf and Country Club in Midland, Ontario. 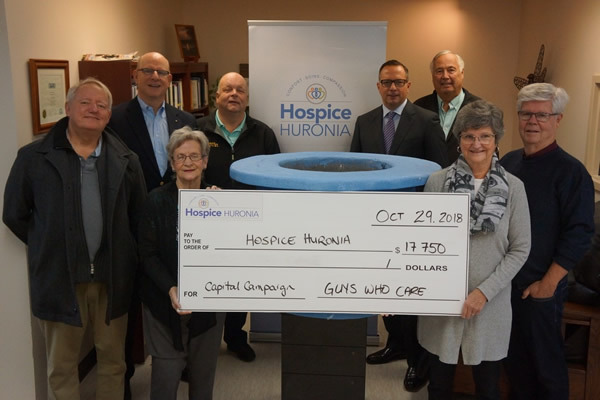 The charity chosen by the members from three very good presentations was Hospice Huronia. The donation amount raised at the meeting and from absent Guys who sent in their cheques was $17,750.00 which is going toward the capital campaign for the badly needed new Hospice building. With this gift, Guys Who Care has surpassed $116,000 in giving since the group’s inception on December 1st, 2015. The group at our October 2018 meeting.